Fairy Godmother Project 2011 coming soon! Comments Off on Fairy Godmother Project 2011 coming soon! 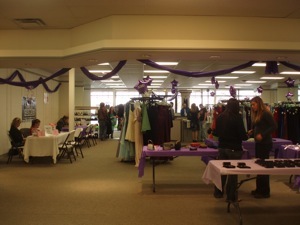 GitNit Right Fairy Godmother Project PromWear Party A Huge Success! 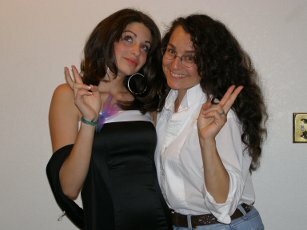 On April 11, 2009 – GitNit Right held its first ever Fairy Godmother Project PromWear party! Based on the comments below, we think it was a huge success! 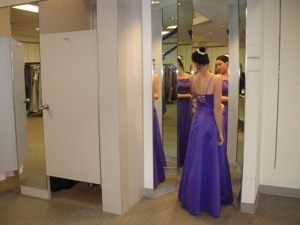 What did you like best about the PromWear Party? How can we make this a better experience next year for Homecoming and Prom? What would you tell other students thinking about coming to similar event next year? What would you like to tell our sponsors, the hundreds of people who donated and the amazing team who put this together just for you? 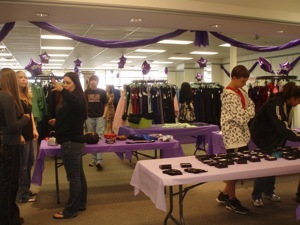 Comments Off on GitNit Right Fairy Godmother Project PromWear Party A Huge Success! 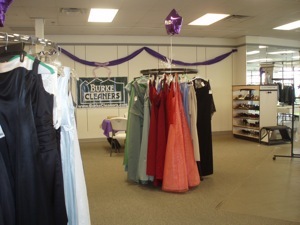 There’s still time to donate prom dresses and formal wear to the Fairy Godmother Project! You might have seen our article in today’s Coloradoan! 🙂 We are so pleased and honored by the support shown for the Northern Colorado youth and the Fairy Godmother Project! If you haven’t donated yet (or maybe just want to again! 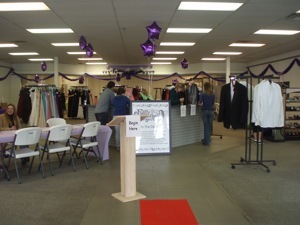 ), we really need men‘s dress clothes: slacks, dress shoes, belts, dress shirts, ties, and jackets. Let’s show our support to the young men in need in Northern Colorado! GitNit Right’s Fairy Godmother Team has made headlines again! Here is another great story by the Loveland Reporter-Herald! Dee Valdez also had a brief interview on mornings with Keith and Gail at www.600kcol.com yesterday at 7 am. We will all have the wishes transcribed and placed on a star and ceremoniously place them in the window of the boutique we’re creating for the PromWear Party Saturday, April 11! It will be pretty moving! There’s still time to become a Project Partner so let Dee know if you’d like to participate in any way! “I don’t drink. I don’t smoke. I don’t take drugs,” began our beautiful 16-year-old daughter, Kaitlyn, who had my full attention. “I get good grades. I’m respectful. I help out around the house. I’m no longer playing basketball and I’m no longer modeling,” she concluded calmly. With opening statements like that, I knew she won this argument, even though I didn’t know what we were arguing about, just yet. “Is there any reason you can think of why I shouldn’t be allowed to get my lip pierced?” she asked with a respectful tone. BOOM! There it was! A reasonable request I had deflected for more than 2 1/2 years, first because of her involvement in basketball then because of an unexpected stint modeling. Now what excuse could I use? I felt like I had painted myself into a corner. “Does the fact that I don’t really like the way it looks, count for anything?” I asked sheepishly. “Not really Mom,” Kaitlyn patiently replied. For more than two years we had analyzed piercings of all sorts and she knew which kinds I thought looked cute, slutty, or horrid. We had had this conversation at least 100 times. Each time, this very good student studied me and listened to what I had to say. In short, I was doomed. I knew she didn’t want her belly button pierced because that just wasn’t her style in so many ways. I thought nose studs looked cute but Kaitlyn thought they could lead to too many physical problems. Tongue piercings are just gross, so this obviously was not an option I wanted my daughter to embrace. A cute bartender at Biaggi’s Restaurant in Loveland has a lip piercing. I never knew this until I saw Rebecca in Downtown Loveland in her street clothes. It was so stylish even on her beautiful petite self. So I knew a lip piercing could go unnoticed if it needed to. That’s when the ugly stuff surfaced. This situation forced me to come to grips with my skewed belief system. 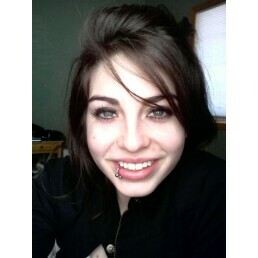 Five days later, when Kaitlyn was getting her lip pierced, I actually wondered what people would think of her. Worse yet, I wondered what people would think of me. I hate to admit that. I don’t tend to be shallow but there you have it. Pathetic shallowness. I actually had to talk myself through the realities that the character qualities Kaitlyn and I have, didn’t change just because her lip is pierced. And if anyone judges us differently because of this, what does that really speak to-who we are or who they are? I sorted through my prejudice against young people with piercings and tattoos. Both are so “In Your Face!” for us Baby Boomers. I remember meeting a gentle young man with multiple piercings and massive tattoos covering his bare arms. After getting over the initial shock of all of the “disfiguring” he had done to his body, I talked to him about his “why” for doing it. I was ashamed of myself when I discovered he was a passionate artist and loved to express himself through what is properly called “body art.” I learned this through his gentle correction. His work was quite good. He was actually making a living with his own Body Art Studio in Downtown Loveland. I had a whole new understanding for young people with “tats” because I took the time to really listen and develop a new appreciation. I remember thinking how difficult it must be for young people who are not listened to, appreciated or understood. I felt ashamed for my whole generation and how we treat these young people. Baby Boomers were so about determining who a person was based on how they look, their title, their house and car rather then how they act. Millennials are all about determining who a person is based on how they act. Weird! They look past the status, clothes, job title and all the stuff Baby Boomers puff themselves up with and just cut the crap. I determined that the people who matter in my life will be fine with this form of self expression. All the others will reveal who they really are and have to get over themselves because this was not about them. Whew! I didn’t know if I was really ready for the wrath. The Millennials in my life give me strength to live my convictions. I know now that I can handle the wrath because Kaitlyn and I experience so much of it because I allowed her to get her lip pierced. But it hasn’t changed us for the worse. We both still defend the underdog. We both still work to provide for the less fortunate. And we both still speak our mind knowing that there could be consequences. GitNit Right With Millennials Now Available Through Google Checkout! The early reviews from the Berthoud Beat are looking good! Even better news: you can now buy our book direct through Google Checkout for $20! Comments Off on GitNit Right With Millennials Now Available Through Google Checkout!